Everybody has their opinion about the finale to one of the greatest TV shows ever, LOST. Some were disappointed while others think it was the best ending ever and some were just…lost (yes I went there). Anyway, we all have our personal interpretations so I’ve decided to share mine with you. As a literature major, science fiction fan, and writer I came into with the realization that I would on some level be disappointed. Why? Because we’ve reached the end of a story, a story I, like so many of us, had my own theories and personal interpretations of. A story that brought hours of conversation with fellow fans to see how similar or different my interpretation was from there’s. When you put personal investment into a story, you will always wind up a little disappointed by its ending. Why? Because the ending is not what you wanted it to be. Sometimes you invest so much time into something you don’t want it to end, because the ending is the author’s final statement on a work, and what he wanted to say isn’t how you took what he said. This is the dilemma LOST faced and the creators ended it the only way they could with an ending that reminds me of the conclusions to CS Lewis’s The Last Battle, the final book in The Chronicles of Narnia. In The Last Battle, the Pevensie children (except for Susan) wind up in Narnia after dying in a train wreck. The reader learns that Narnia is a version of paradise and can only be achieved through death. In these paradise the children are reunited with everyone who they loved in life and begin a new cycle of life where “every chapter is more exciting then the next.” The ending of LOST is very similar. Before they met each other the survivors of Oceanic Flight 815 were “lost” souls without a purpose. By crashing on the Island they found purpose and meaning through each other and the experiences they shared together. The survivors found themselves and purpose through each other. That is the purpose of the “flash sideways”, it is a limbo where the characters could discover each other once they die and then move onto paradise together. This ties in the Egyptian imagery seen throughout the series. The ancient Egyptians used to bury their dead with the things they loved in life so they would have for all eternity. While the story of survivors came to an end, there are still many questions lingering. The first question is “where were Michael and Walt” during the reunion in the church? MY answer, to put it simply, like Susan in Narnia, Michael and Walt were denied paradise because they broke away from the other survivors and lived their own lives. Is it because Walt is destined to take over as caretaker of the Island? Will he lead a new group to the Island? Perhaps. The lingering question for me is “who’s the villain?” in the literal Senet game between Jacob and the Man In Black. On the surface, the Man In Black is the villain. He wants to eliminate the survivors, he massacred the others, he manipulated Claire, he sided with the people who want to exploit the Island, killed his mother, and, of course, turned into a black smoke monster. (Not his real mother mind you) But was he really evil? All he wanted to do was leave the Island, why is that so bad? It was never explained. All they said was if the Man in Black were able to lead the Island, the world would be in grave danger, why? It was never explained. Don’t forget, he gave the survivors the option of joining him to leave the Island. Would he have killed them if they decided to join him? Compare him to Jacob, who sided with the woman who killed his birth mother, killed his brother and created the Man In Black. Through his minions the Others, Jacob, murdered survivors, staged kidnappings of pregnant women and children, had Ben kill his own daughter, had Dogen torture Sayid and attempted to have Jack kill him, gassed the DHARMA Initiative, and manipulated the survivors into getting onto the plane that brought them to the Island in the first place. So, who is “good” and who is “evil” in this game? Neither really. Hopefully Hurley and Ben will have a much better reign as guardians. In the end the finale of LOST succeeded because it was not the conclusion of the Island’s story, it was the conclusion of the survivors of Oceanic Flight 815’s story. Each character went from being “islands unto themselves” to an extended family. It was only through finding each other that they found purpose and happiness in both life and beyond. Was this the purpose of the Island? To bring these lost souls together? 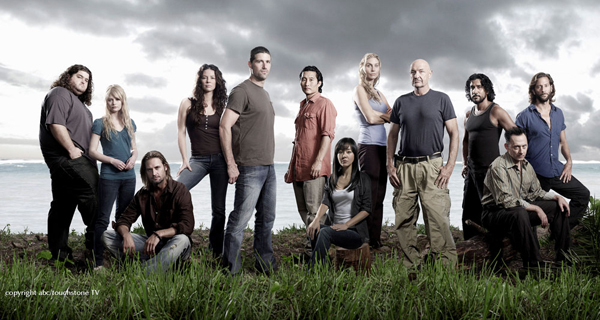 Or is the survivors of Oceanic Flight 815 tale merely one of many that have happened and will continue happen? Who knows? The finale of LOST was the end of the Oceanic Flight 815’s survivors’ story as for the grand mythology…only time will tell. Before you go check out this great article from Wired.